Oil paints are waterproof?Paintings can be cleaned by wet cloth,please avoid long time directly strong sunlight and any possible oily stain. 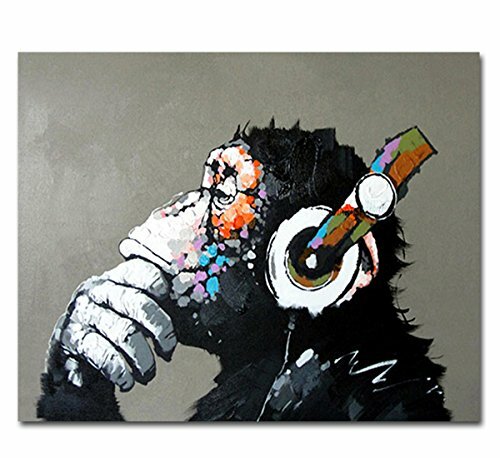 Gorilla is thinking when listen to the music,it's the art life. Size:20x24in(50x60cm).Stretched,ready to hang,a strong hook is already fixed on the frame and nails are provided,easy to hammer into the wall.